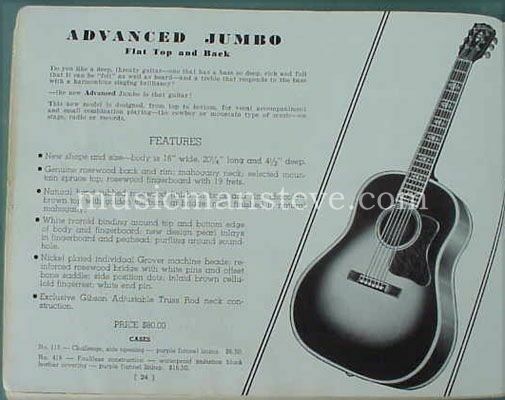 1937 GIBSON Catalog Y - 88 pages- Nick Lucas,top tension banjos, F-5, etc! TENOR BANJOS...TB-00, TB-1, TB-11, TB-75 also Top Tension TB-7 , TB-12 and TB-18. 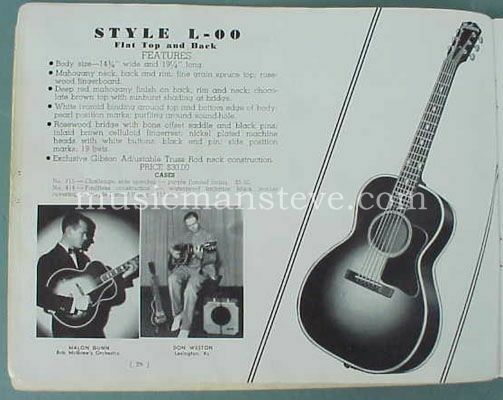 ARCHTOP GUITARS...L-30 (new finish), L-37, L-50, L-4, L-7, L-10, L-12, L-5 and Super "400". 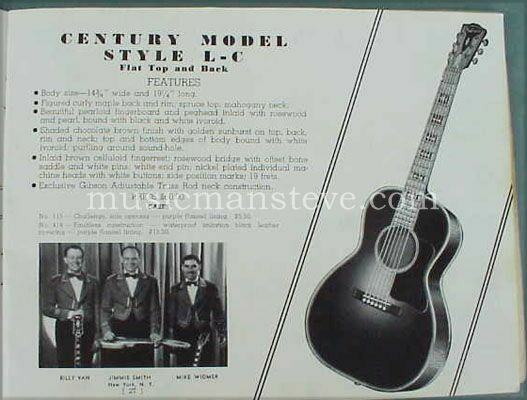 FLATTOP GUITARS....Nick Lucas, Advanced Jumbo, Jumbo "35", Century Model (L-C), L-00, L-0. ELECTRIC HAWAIIAN GUITARS...EH-100, EH-150 and Double Neck Hawaiian. ELECTRIC ARCHTOP GUITAR...ES-150 (Charlie Christian) and Electric Mandolin EM-150 with CC pickup. MANDOLINS...F-5 Fern, F-7, F-4, A-50, A-1 and A-00.